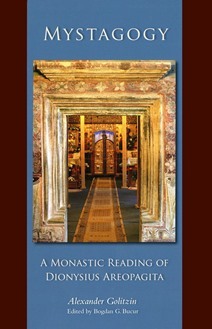 Mystagogy proposes an interpretation of the Pseudo-Dionysian corpus in light of the liturgical and ascetic tradition that defined the author and his audience. Characterized by both striking originality and remarkable fidelity to the patristic and late neoplatonic traditions, the Dionysian corpus is a coherent and unified structure, whose core and pivot is the treatise known as the Ecclesiastical Hierarchy. Given Pseudo-Dionysius' fundamental continuity with earlier Christian theology and spirituality, it is not surprising that the church, and in particular the ascetic community, recognized that this theological synthesis articulated its own fundamental experience and aspirations. Alexander Golitzin is professor emeritus of patristics at Marquette University and a bishop in the Orthodox Church. He specializes in the origins of Eastern Christian ascetical and mystical tradition. He is the author of `Et introibo ad altare Dei': The Mystagogy of Dionysius Areopagita (Patriarchal Institute); St. Symeon the New Theologian on the Mystical Life: The Ethical Discourses, 3 vols. (St Vladimir's Seminary Press); and New Light from the Holy Mountain (St. Tikhon's Seminary Press), as well as several studies collected in The Theophaneia School: Jewish Roots of Christian Mysticism, ed. Andrei Orlov and Basil Lurie (Gorgias Press, 2009). Bogdan G. Bucur (PhD Marquette University) is associate professor of theology at Duquesne University and an Orthodox priest in the Antiochian Archdiocese. His work explores the link between biblical exegesis, doctrinal developments, and spirituality in early Christianity and the Byzantine tradition. He is the author of Angelomorphic Pneumatology: Clement of Alexandria and Other Early Christian Witnesses (Brill, 2009) and several journal articles.